Individuals with a co-occurring disorder (also known as a dual diagnosis) represent a growing population among the drug and alcohol addiction community. Individuals with co-occurring disorders are high risk patients who may respond differently to drug and alcohol addiction recovery programmes. They are at a much higher risk for destructive behaviours such as suicide. That is why it is imperative that patients with a co-occurring disorder get the professional drug and alcohol recovery treatment they so desperately need. A co-occurring disorder or dual diagnosis refers to individuals suffering from one or more medical disorders. Co-occurring disorders and addiction are quite common as many individuals suffer from more than one drug addiction. Dual diagnosis can also refer to an individual with an addiction to drugs and alcohol or to those individuals with a drug addiction combined with a psychological disorder such as anxiety, depression, schizophrenia or an eating disorder. Individuals with a drug addiction and a major physical health problem such as AIDS or cancer are also considered to have a co-occurring disorder. Recovery for individuals with a co-occurring disorder and addiction is challenging, which is why it is so important for the individual to seek the help of a professional treatment centre. At The Cabin Chiang Mai, Asia’s most respected alcohol and drug treatment centre, we understand that patients with co-occurring disorders need special treatment due to the psychological problems related to their drug and alcohol abuse. Treatment for individuals with co-occurring disorders is a more intricate and complicated recovery process and requires counsellors with experience in dealing with these cases. At The Cabin Chiang Mai, not only does our team of addiction recovery counsellors have a wealth of experience in the treatment of co-occurring disorder cases, we also have strong and consistent collaboration with referring physicians for treatment of our clients with a dual diagnosis. 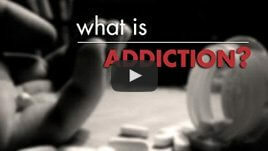 How Serious is the Problem of Co-occurring Disorders and Addiction? Over half of all individuals suffering from drug addiction are also believed to have a co-occurring mental illness. Over one third of all individuals with a mental illness suffer from some form of substance addiction. In more severe co-occurring disorder cases, the individuals may have more than one mood or personality disorder creating an even greater challenge to their recovery. Many individuals entering an addiction treatment recovery centre are dealing with both a substance addiction as well as a mood disorder. Rehab treatment centres receive patients with mood disorders ranging from depression to eating disorders. Other mood disorders include bipolar disorders, substance induced mood disorders and anxiety disorders. Mood disorders are classified as a type of mental health illness that creates disturbances in thoughts, feelings, and behaviour. Often times, individuals suffering from mood disorders will use alcohol and drugs to self-medicate. The danger in self-medication is that it increases their symptoms fuelling depression, anxiety and other consequences of substance abuse. Individuals that are addicted to drugs or alcohol and also suffer from mild to extreme depression, bipolar disorder, or manic depression must recognise that they need to seek treatment for their substance addiction in order to recover from their depression. Alcohol and drug abuse alters the mood of the user, causing depression and other mood shifts. Those already suffering from even a mild form of depression are even more likely to be driven into deeper states of depression. Often times, the individuals’ depression is so strong that they have thoughts of committing suicide and may act on these thoughts. Seeking the professional help of a drug and alcohol recovery centre which has experiencing treating co-occurring disorders and addiction is critical to beating both the addiction and the cycle of depression. Anxiety is another form of mood disorder that may be caused by mental health issues or outside stressors that trigger anxiety. Relationship stress, family stress, work stress, financial stress, school stress, grief-related stress and stress related to drug abuse can all trigger anxiety. These individuals may suffer from acute anxiety attacks that can feel like near death experiences. Often times, individuals with anxiety will turn to drugs or alcohol as a way to self-medicate. Sometimes they will even seek prescribed medication to treat their anxiety which can then turn into prescription drug addictions. Others choose alcohol or other pills as a way of dealing with anxiety at the onset of symptoms. Seeking the professional help of a drug and alcohol recovery centre is critical to beating both the addiction and the cycle of anxiety. Treatment for individuals with a dual diagnosis is different than treatment for individuals who are only suffering from alcoholism, drug addiction or a mental health disorder on their own. Dual diagnosis patients are high risk individuals with much higher suicide rates. Treating these cases is challenging as many of the symptoms of mental illness and addiction can mimic each other. Drug and alcohol addiction also has the potential to hide a mental health problem as well as make the mental health problem much worse. The key to treating these intricate and delicate situations is to work with a professional rehab centre that has strong experience in treating patients with co-occurring disorders and addiction. 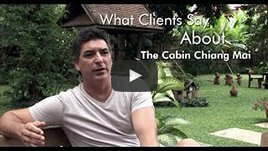 At The Cabin Chiang Mai, Asia’s most respected drug and alcohol treatment centre, we recognise the importance of understanding co-occurring disorders. Patients can recover at our addiction treatment centre while we collaborate with their referring physician on their dual diagnosis. Rest assured, our clients have our support throughout the entire addiction treatment and recovery process. Individuals suffering from multiple addictions or addictions combined with psychological or physical problems, represent a large portion of the population who need special rehabilitative treatment. This is why it is so important that individuals diagnosed with co-occurring disorders receive the treatment they so desperately need. Make sure your treatment recovery centre establishes a relationship with the referring physician to collaborate on the dual diagnosis. Select an addiction recovery centre staffed by professionals with specific experience in treating individuals with co-occurring disorders and addiction. Understand that individuals with dual diagnosis need comprehensive care and the rehab treatment centre should work together with other medical professionals to address the different aspects of the condition. Misdiagnosing is common among individuals with dual diagnosis. Working with a recovery centre with a strong understanding of the different conditions is key to the treatment of individuals with a co-occurring disorder. At The Cabin Chiang Mai, we believe that the solution to the co-occurring disorders and addiction crisis is to create greater awareness among the medical community so that individuals with a co-occurring disorder can get the specialised treatment they need. At our recovery centre, we collaborate with the diagnosing, referring physician to design an effective drug and alcohol treatment and recovery programme aimed at restoring the individual to a natural and healthy state. There is No Better Time than Now to Get Help! The sooner you or your loved one gets treatment for addiction and/or a co-occurring disorder, the higher the chances of a successful recovery. Contact us today for a no obligations, free consultation to see how we can help.